It's Singapore's 52nd Birthday this coming Wednesday and even though there's no long weekend (bummer), the celebrations go into full swing THIS 5/6 Aug WEEKEND! Other than catching the NDP Fireworks at Marina Bay, there are plenty of family-friendly activities to keep the kids all active and occupied. So head out this weekend and have fun! National Day is upon us again, and PlayLAH! is back at Singapore EXPO! PlayLAH! Let’s Celebrate! National Day 2017 has an even more exciting line-up of activities this year, complete with hands-on workshops, game booths and musical zones for you and your family’s ultimate day out. Let’s get creative, learn a new skill or simply soak up the carnival atmosphere with hours of fun and thrills in our 4 dedicated zones, thematic villages and stage programmes! Visit www.playlah.sg for more details. 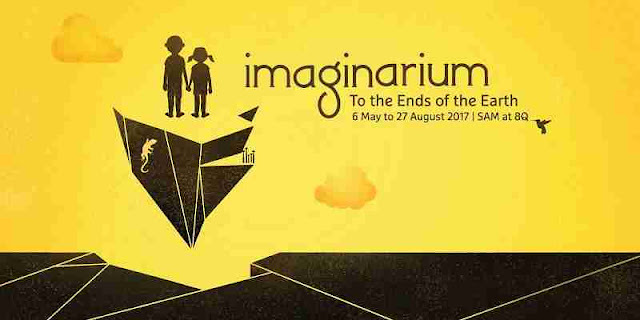 For two weekends this August, Singapore's Civic District comes alive with art, light, sound – and you're invited! Held in Singapore's Civic District, the inaugural Civic District Outdoor Festival will transform the district's charming and historical architecture into an extravaganza of multimedia, art installations, stage and music performances, art markets and food streets. Amidst all the excitement, the Padang will also be transformed into a giant picnic area for you and your family and friends to take in the festivities. For a complete listing on all activities, visit HERE. Celebrate all things Singapore at Sentosa from 14 July to 27 August. Go loco with all things local as Sentosa lines up a slew of exciting free day and night programmes and activities for everyone. Visit www.sentosa.com.sg/sosingapore for a complete listing of all activities. The all-day Heritage Carnival will take you back in time to Singapore's fishing village days to the post-war era. 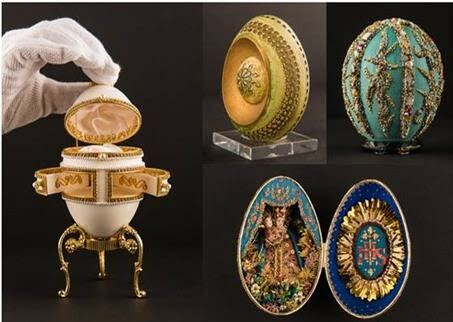 You will get to interact with 'villagers', snap selfies with retro exhibits and larger-than-life food props, or take a trip down memory lane with old-school Singapore artefacts and collectibles that will be on display. What's more, there will be food stalls selling delectable Singaporean delights such as Peranakan Kueh, Burger Bombs and Chendol on selected days! Catch popular local films such as 'Ah Boys to Men' and 'Ilo Ilo' with your families and friends by the beach when night falls. Get your cameras ready and stand in awe as the majestic Sentosa Merlion comes to life with vibrant and colourful National Day-themed lights and projections, when night falls! Apart from the theme of patriotism, the ever-popular light and music extravaganza now comes with an added feature so that you can experience augmented reality (AR) effects while watching the show through your smartphones. Just download the free AR App marq+, available on both the App Store and Play Store. Relive your childhood with nostalgic kampong games like the colorful Five Stones, the exciting Chapteh, and the Eraser Gamer, just to name a few! Happy Birthday, Singapore! Make your own rojak and catch and song and dance performance at the museum. More of a night owl? Leave your mark on the walls of a massive glow-in-the-dark installation by local artist, Rajesh Kumar. Experience historic buildings in a different light with special Monuments by Moonlight tours. Come celebrate our Nation's birthday on 5 August. Gather your family and friends to enjoy a fun and energetic bonding time and do not miss the “Dance as One” fitness party specially created for this occasion. Visit HERE for more information. Head at the Singapore Discovery Centre between 3pm and 9.30pm, expect plenty of family-friendly activities like games, bouncy castles, face painting and an outdoor movie under the stars! 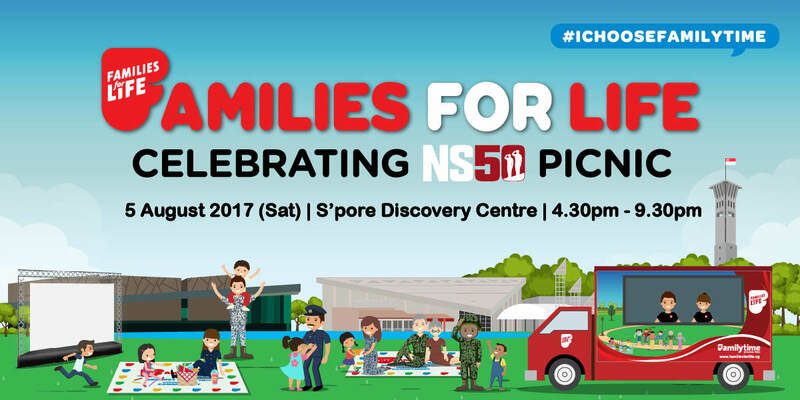 And in celebration of 50 years of National Service, families can also look forward to fun NS50-themed activities and games... including the first-ever SAFTI-Pasir Laba coach tour, families can test their skills at the mini Standard Obstacle Course (SOC) and Individual Marksmanship Trainer (IMT) shooting. Families will also be able to DIY their own ID tag and rank insignia! What better way to spend your evenings in the park than chilling out to music at sundown? NParks' open mike series, "Live Out Loud" (LOL), showcases budding talents, with performances taking place in our green spaces! LOL features hobby musicians and non-professional performing acts – each will be given 15 minutes to display their musical talents, be it singing, dancing, playing an instrument, beatboxing or rapping. Asia’s leading music festival returns for eighth edition at a brand-new entertainment and events venue at Labrador Park. Sundown Festival continues to support the growth of home-grown talents with this year’s edition featuring an explosive line up of local artistes; Derrick Hoh, FARRAGO, Jack & Rai, Jason Chung, Ling Kai and The Summer State. 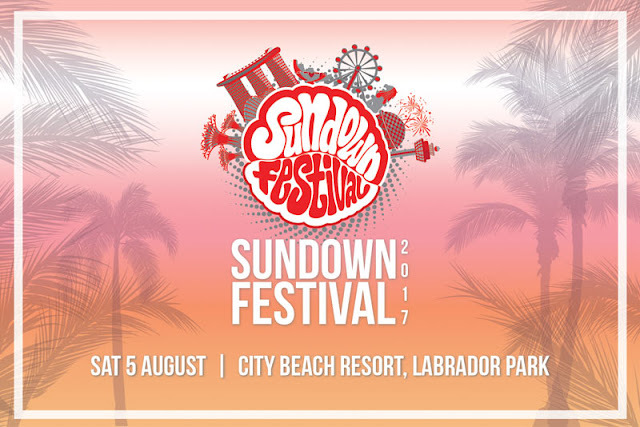 The Sundown Festival is an iconic annual event that celebrates Asian music and culture with the objective to showcase the vibrant Asian entertainment scene on a singular platform, uniting and bridging the diversity of Asian countries. For more information, please visit www.sundownfestival.sg. This obstacle course is inspired by training in the Singapore Armed Forces (SAF) and the Home Team, and promises a fun-filled challenge for kids and parents! The six obstacles include Low Wall; Singapore Civil Defence Force (SCDF) Ladder; Swing Bar; Tyre Flip/Hop; Dodge the Crowd; and Flying Fox. Each participant will be given a Singapore flag during registration, which they will have to carry as they make their way through the obstacle course. At the end of the obstacle course, participants will insert the flag to create an ‘NS50 Pledge’ art installation wall. The NS50 logo will be visible when the wall is completely filled with flags. After completing the obstacle course, participants can head over to nearby activity booths where they can take part in sports try-outs and static workouts. Examples include an Active F.I.T challenge, a Watt Bike challenge and a martial arts workout. Those who have completed the ActiveSG Steps Challenge can also redeem a limited edition NS50 Jerrycan water bottle at the redemption booth (while stocks last). Camokakis, Edric Hsu, and Shabir will be performing songs from the NS50 Music Album at the Sports Festival. Fitness-related workouts and performances will take place on the festival stage throughout the day. Entry to all ActiveSG gyms and swimming pools will be free on 5 and 6 August 2017! Past and present national servicemen will just have to present their 11B, or SAFRA/HomeTeamNS membership cards to the counter staff on duty before entering the facility. Family members and friends also enter FOR FREE! Join in to celebrate National Day at Sun Yat Sen Nanyang Memorial Hall! Learn more about the Chinese auspicious motifs through interactive storytelling in the galleries and experience the fun of being a young patriotic Scholar! Uncle Rajah and his friends are back this National Day! Hop onto the magic carpet and travel back in time to discover the bright and colourful world of Chinese children’s clothing, stitched with parental love. Enter into the world of the animal kingdom, and join storyteller Liang Huiyu for an interactive storytelling session to learn more about family love and friendship! Animal motifs are often found on Chinese children’s clothing. Find out more about Singapore’s very own animal icons as you make your SG Icons Badge! Have fun designing your Fan of Motifs with different Singapore icons and symbols from our special exhibition! National Day Highlight: Be a Young Patriotic Scholar! Chinese parents traditionally hope for their children to excel in their studies and bring glory to the family. Other than academic pursuits, children were expected to learn calligraphy and painting as well. Experience life as an ancient Chinese scholar at our various activity stations and bring back home your own unique crafts that express your love for Singapore! "City of Dreams" symbolises and celebrates Singapore's vibrant band scene while remembering our nation’s history, especially as National Day comes around. Experience nostalgia as the bands present a variety of uniquely Singaporean songs, from National Day songs such as 'Home' and 'Where I Belong', to classics such as 'Kopi-O' and Bunga 'Sayang'. Come join us with family and friends and have an enchanting time of singing, dancing and simply reliving the good old days while celebrating our Nation’s 52nd birthday! Held at the Padang from 29 July to 8 August (9am to 7pm), the RED-X Games - The Family Challenge 2017 will feature an obstacle course with a 'Own Time Own Target' mode which allows everyone try and complete the obstacle course at their pace. The individual stations are specially created to mimic the training that every soldier undergoes. Participants can expect popular obstacles like Low Wall, Multi-Rig, Monkey Bar, Rope Climb, Farmer's Walk and Tyre Flip. The ‘Discovery” Challenge allows everyone to complete the obstacle course at their pace while those who are up for a challenge can participate in an ‘Ultimate’ Challenge, which is opened to families and individuals, where participants are to complete all the obstacles in the shortest possible time, to win a RED-X dry bag. *Interested public may register at the RED-X Booth at the GASG Sports Festival at the Padang. Registration is free for the ‘Discovery’ Challenge and $20 for the ‘Ultimate’ Challenge. 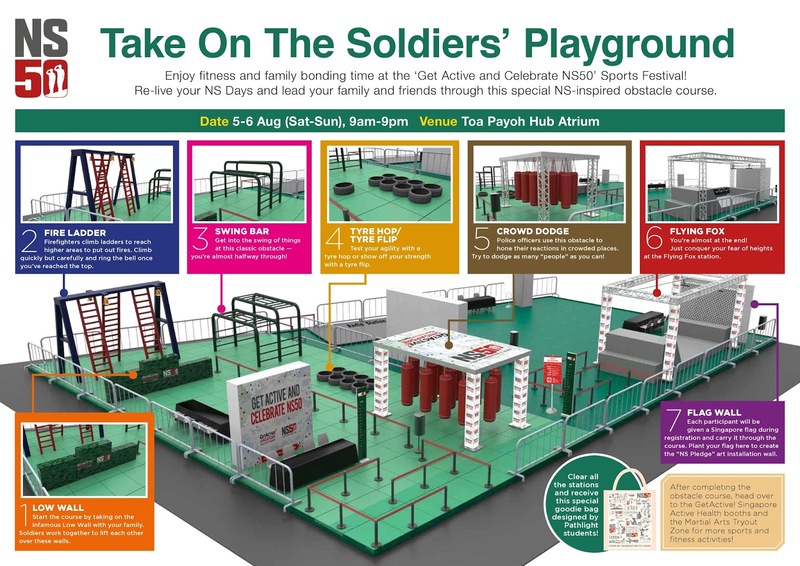 Eastpoint Mall will be holding a mini ‘NS Obstacle Challenge’ from 7 to 13 Aug to commemorate NS50 and celebrate National Day. Children aged 6 to 12 years old will be able to experience military training through a realistic obstacle course, and will receive a certificate that certifies them fit to protect the nation. The Sports Hub National Day Fiesta, which is part of GetActive! @ Singapore Sports Hub event, is a full day celebration featuring a variety of sports, fitness, entertainment and lifestyle activities including a live telecast of the National Day Parade and family picnic, sports challenges, 52-minute National Day fitness workout, aquathlon workshop, and a carnival. 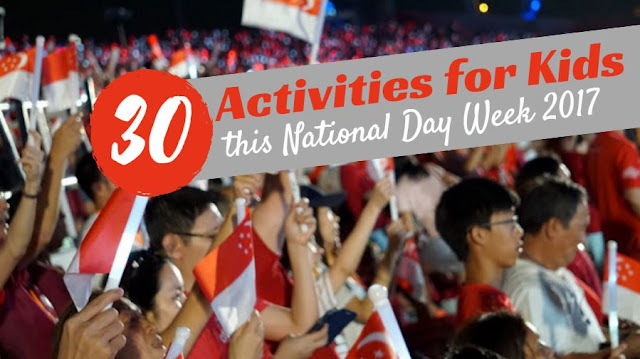 Key highlights include Live NDP Telecast & Family Picnic, experiencing 8 different sports – tennis, table tennis, lawn bowl, athletics, touch rugby, basketball, futsal and floorball, and a National Day Carnival. Please visit www.sportshub.com.sg/NationalDayFiesta for more information. 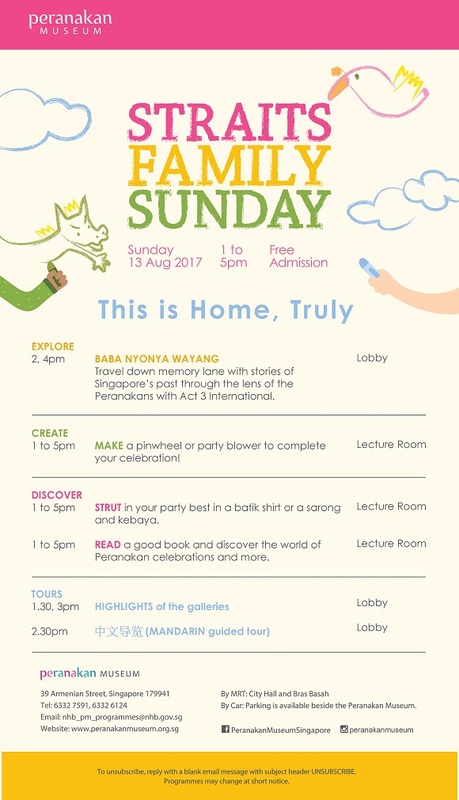 Come celebrate National Day at the National Museum of Singapore with day-to-night programmes for the family. Join in for an up-close session with Jimmy Lam, the author and photographer of Singapore: Country of Many Faces; a live telecast of the National Day Parade with D.I.Y. picnics featuring your favourite Singapore food and new local creations; fun craft activities with our favourite national symbols and icons; music performances on a Red Steinway piano that include sets by William Lim Jr. from popular local band Electrico, and more! Plus, don’t miss the opportunity to collect special Singapore souvenirs and complimentary National Day Parade fun packs, which will be given out to the first 500 visitors to our live telecast – while stocks last! For more details on programme timings, visit HERE. Shakespeare's Globe presents an interactive fairy tale. Get into the think of the action and explore the magical story not just as listeners but as storytellers too. A wonderful experience for the whole family! Get together and hunt for answers in our galleries and win a small prize! *While stocks last. This is a unique retelling where the story leaps off the page and onto the stage. 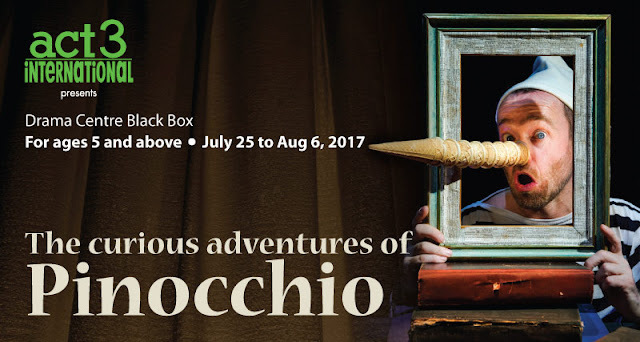 Crickets, cats, foxes and, of course, the world-famous puppet, will spring out of our collection of dusty, old, magic books, while Patrick Lynch pulls all the strings and turns all the pages to bring you the true story of Pinocchio, no lie. Who nose? He might even find his father and become a real boy. For tickets, visit HERE. Unite at KidZania Singapore and experience what it means to belong as One Nation Together as KidZania Singapore celebrate Singapore’s 52nd birthday with a host of activities! 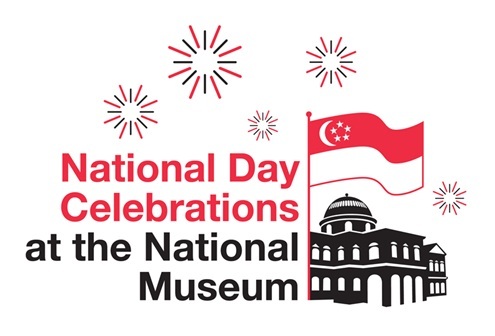 Celebrate National Day with a special rendition of the City Parade, and dance to heart-warming National Day songs with the Team Members in a specially choreographed National Day dance at the City Clock. Get a temporary National Day themed tattoo at the Main Square. Make your own personalised human cutout with your kids and pledge your wishes for Singapore on our Pledge Wall. Remember to pose for a photo with the wall too! Kids will earn 2 extra kidZos when they work at our local role-play establishments! These include: Accident & Emergency, Coach Station, Fire Station, Makeup Atelier, Mountaineering School, Operating Theatre, Optical Shop, Peranakan Museum, Police Station, Radio Station, Soup Kitchen, Traditional BBQ Meat Store, and University. 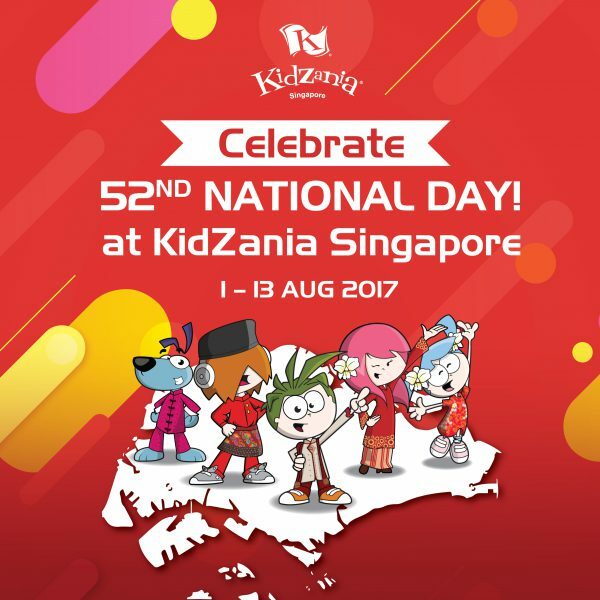 From now until 31 August 2017, enjoy 52% off your second kid walk-in ticket when you purchase your tickets over at the ticketing counters at KidZania Singapore. Also, enjoy 35% when you register your kids as a B.KidZanian CitiZen at KidZania Singapore’s PaZZport Office, and enter your kids into a world of exclusive B.KidZanian benefits. What makes a country a “home”? Let us bring you down memory lane to revisit what makes Singapore, uniquely Singapore. Continue celebrating Singapore’s independence this Sunday with your whole family. 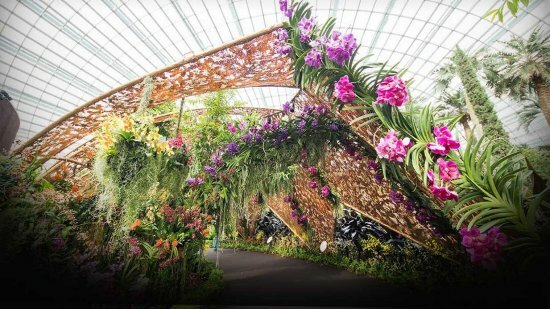 This year, the “Orchid Extravaganza” floral display tells the story of Singapore through the motif of a butterfly’s life cycle. Stunning orchids in myriad shapes and colours will fill a landscape depicting the stages of a butterfly’s growth, including a ‘Chrysalis’ structure in the main Flower Field. Visitors can look forward to seeing​ orchid varieties such as Phalaenopsis, Vanda, Dendrobium, Grammatophyllum and many others. 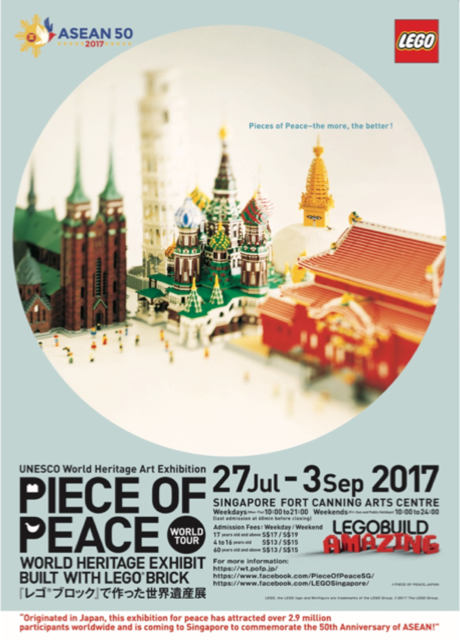 There will also be a sculpture of 52 butterflies - in celebration of Singapore's 52nd National Day - in the shape of Singapore. Visit HERE for more information. Cirque du Soleil returns to Singapore with an awe-inspiring production presented in the intimate setting of the blue and yellow Big Top. Seen by over 7 million people around the world, KOOZA pays homage to Cirque du Soleil's roots by combining thrilling, heart-stopping acrobatic performance with the art of clowning. Read my REVIEW here. For tickets, visit HERE. To celebrate Singapore’s 52nd birthday, Wildlife Reserves is offering a 52% discount off the admission fees to the Singapore Zoo and Jurong Bird Park in the month of August. Local residents can choose between Singapore Zoo and River Safari, or Singapore Zoo and Jurong Bird Park for the special two-park combination offer. The offer is valid only for purchases on-site and allows the ticket holder to visit the two selected parks within a week. A number of special performances will also be helo, including busking, Mascots meet & greets, Mask Crafts and more. Visit HERE for more information.